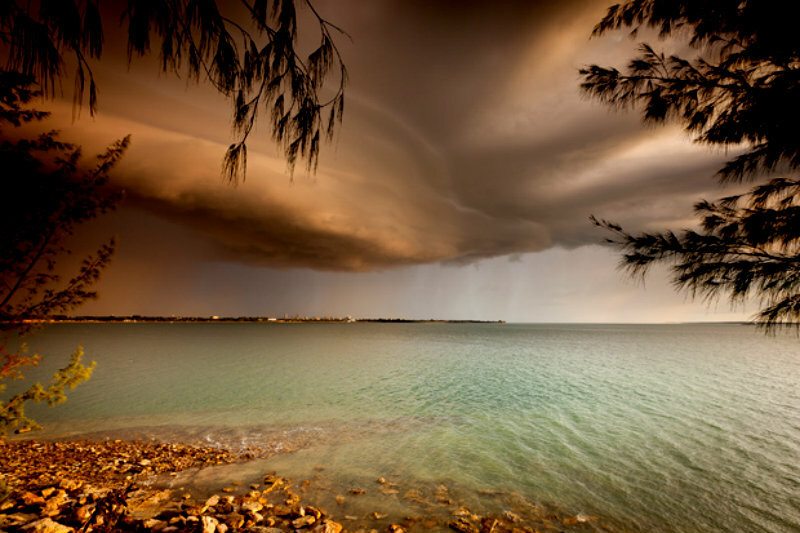 A shelf cloud over Darwin is this week’s AG Flickr shot from contributor Nolan Caldwell. “Each evening my wife and I head to a spot around Darwin for sundown and a refreshing beverage,” Nolan says. “The location is usually determined by the tide and what’s going on with the weather. This night there was a small weather cell that came out of nowhere and had a lot of potential. Quickly this shelf cloud formed and came across Fannie Bay towards us. As I took this shot, a couple said to me they hoped that the camera was waterproof, and I replied that it wasn’t but I could run fast. Well, I needed to as we got absolutely got drenched by this storm: even nuts from the casuarina trees hit the car like hail. It was very intense. ← Lightning off Valla Beach. It is eery to me.